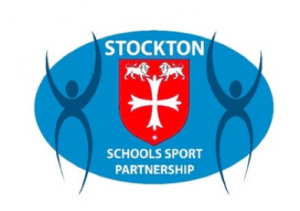 This is a Stockton Schools’ Sports Partnership Inter Stockton School Cluster Athletics Event. Two Year 5 girls’ and two Year 5 boys’ teams were brave, supportive of each other, resilient and showed great determination at Middlesbrough Sports Village amongst the other Stockton Primary Schools for our school cluster. 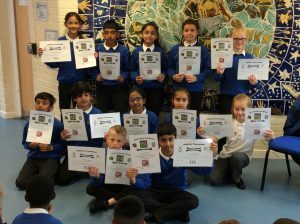 In individual and team events; 60m sprint, hurdles, 600m run, long jump, standing triple jump, howler, chest press and finally running as fast as their little legs could carry them in the relay race – they once again showed what amazing young people they are and we could not have been prouder to stand beside them. They cheered on team mates, the opposing teams and congratulated winners. They had an amazing experience and came away with wonderful memories. These competitive experiences are essential opportunities to develop their ‘physical, social and emotional’ skills that will equip them for a successful life.